It won’t be a surprise if Andhra Pradesh and the Guinness World Records soon become synonymous. Really. Last year, a laddu weighing over 8,000 kg made during the Ganpati festival set a record. With a spectacular ‘Mahabrinda Natyam’ show, a dizzying array of 6,117 performers created a new Guinness World Record here on Sunday, for the largest Kuchipudi dance at the Indira Gandhi Municipal Stadium in Vijayawada. The participants include people from across the country and all over the World. AP State Language and Culture Department organized Maha Brunda Natyam on the eve of 5th International Kuchipudi Dance Convention. Renowned Kuchipudi dancer Vempati China Satyam choreographed ‘Jayamu Jayamu’ dance item which lasted for 12-minutes. The certificate for the feat was handed over to Chief Minister N. Chandrababu Naidu by Guinness adjudicator Rishinath. The Maha Brunda Natyam (grand group dance) was organised as part of the 5th International Kuchipudi Dance Convention. Dancers from across the country, as also from countries like US, UAE, UK, Russia, Hong Kong and Mauritius, took part. 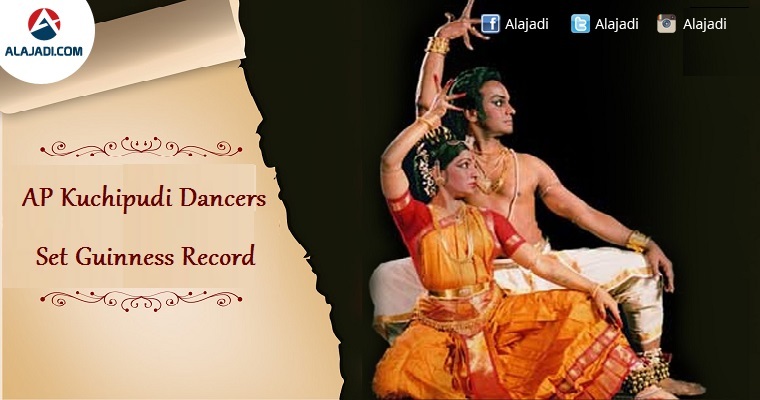 In 2012, a similar feat was achieved when 5,900 dancers performed Kuchipudi in Hyderabad. Union Information and Broadcasting Minister M Venkaiah Naidu, eminent Kuchipudi gurus of yesteryears Raja-Radha Reddy, Yamini Krishna Murthy and many others attended the closing ceremony. Ananda Tandavam, another hallmark Kuchipudi composition by Vempati China Satyam, presented by Madhavapeddi Murthy at the event stood as the highlight. 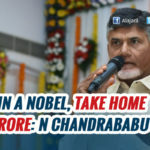 Speaking on the occasion, Chandrababu wished their would be at-least one computer literate and one Kuchipudi dancer in each family in the state. We will hire gurus by paying an honorarium of Rs 12,000 a month to train students in Kuchipudi in the state, the Chief Minister said.